The theatrical trailer of Jacqueline Fernandez and Tiger Shroff's upcoming superhero film, Flying Jatt, will be out on YouTube by mid-June. It will be attached to the prints of Shahid Kapoor's Udta Punjab. "I finished shooting for the film recently in Chandigarh. I play a Punjabi superhero in the film and trust me, even in this film you will get to see very real action. This is a very unique superhero film as I cannot fly in it. Apart from the action sequences, my character has a lot of comic shades too. The trailer of Flying Jatt will be out sometime in June and it is confirmed to release on 25 August." 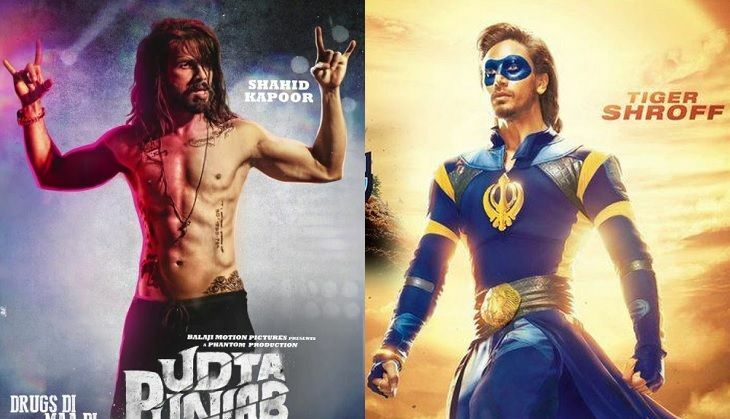 Though Tiger did not divulge details about the theatrical trailer, since both Udta Punjab and Flying Jatt are produced by Balaji Telefilms, it is almost certain that the theatrical trailer of the superhero film will be attached to the prints of Udta Punjab on 17 June, 2016. Also Read: Baaghi: Why do Tiger Shroff, Shraddha Kapoor admire Salman Khan, Hrithik Roshan?